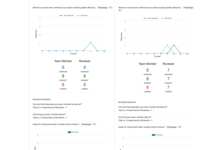 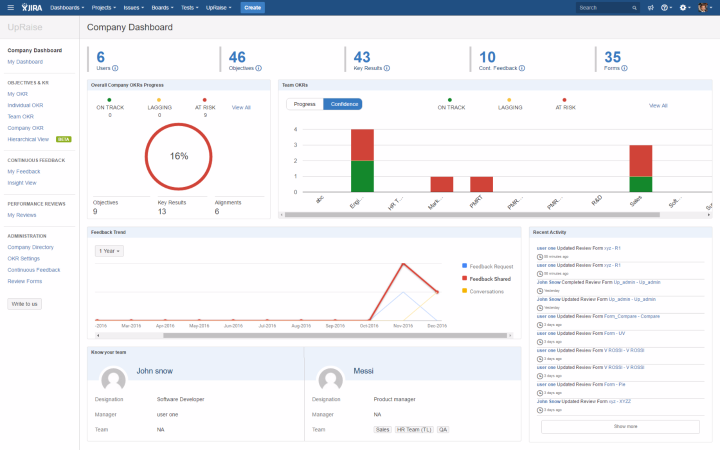 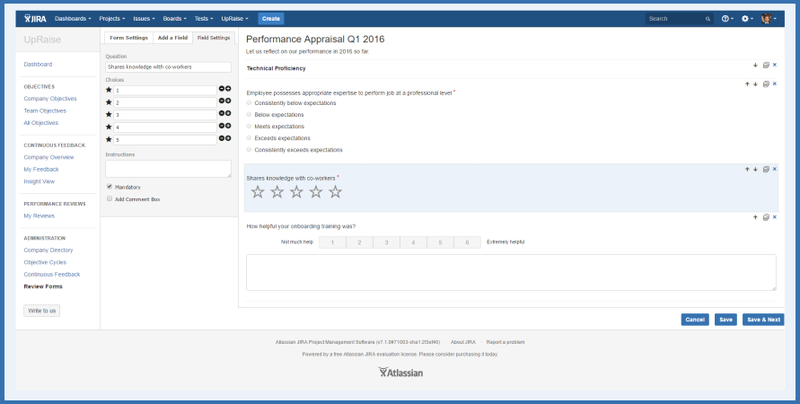 UpRaise is an agile performance management tool natively developed as a JIRA app (previously known as add-on). 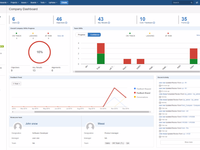 It is available for cloud, on-premise as well as data center version. 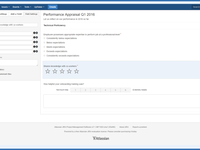 UpRaise extends JIRA to manage OKR goals, exchange continuous feedback & even conduct performance reviews. 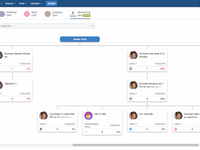 By bringing all of this into JIRA, it is easy to connect strategy with execution. 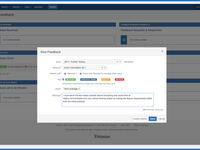 Additional context helps increase the accuracy of the review process. 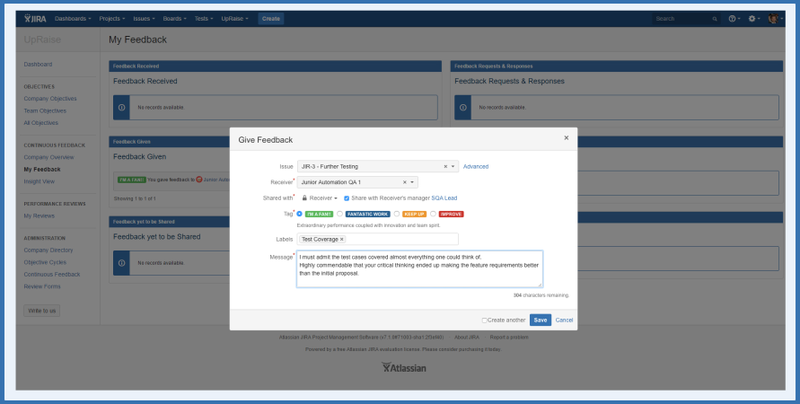 UpRaise can be integrated with your HRMS, Slack, REST APIs.